Hilarious Keynote: Judy Carter - "Your Life IS a Joke! How to Add Laughs to Stories"
Come dressed as your favorite Star Wars character. We have a Star Wars Follies event in the afternoon and will have a Costume Contest. Judy doesn’t like to brag, but she did write the Bible. No joke, she’s the author of “The Comedy Bible” (Simon & Schuster) as well as “The Message of You” (St. Martin’s Press). She will be signing copies of her latest book, "The Comedy Bible: The New Testament." 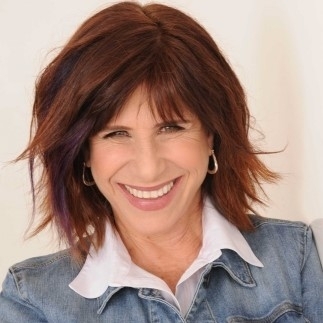 Come early and hear Judy's hilarious keynote "Your Life IS a Joke! How to Add Laughs to Stories with Judy Carter"
Be ready to laugh and learn with Judy! 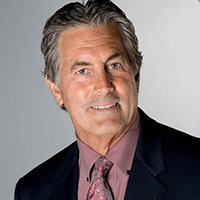 Vince Ferragamo is a Supebowl XIV Quarterback, and Philanthropist who lives in Orange County. Since 1996, The Vincent Ferragamo Foundation has provided generous funding to children’s organizations such as Olive Crest, Special Olympics, Speech and Language Development Center (Buena Park), and Ronald McDonald House. Ferragamo is perhaps most recognized for his 10-year career in the National Football League during which he set numerous team records for the Los Angeles Rams and is the first quarterback to lead the Rams to the Super Bowl. He also operates a vineyard in Santa Maria, California. Vince was selected as our 2019 Communication and Leadership Award for his generous philanthropic work.